Coronation is a South African asset management company that focuses on providing asset management services on an international scale. Coronation also offers asset management services to both institutions as well as individuals. One of the largest institutional asset management companies in South Africa, Coronation’s clients include; pension funds, provident funds, medical aid schemes, endowments and charitable organisations. Coronation also manages many portfolios on behalf of their competitors within their multi-manager frameworks. Coronation was voted the Raging Bull Unit trust Company of the year for the years;2002, 2004 and 2005 and offers a diverse range of award-winning domestic and international unit trust funds, as well as several endowment and retirement packages for the individual investor. 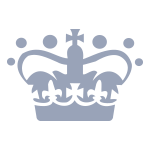 Coronation’s London based team of specialists manage international assets.